Airflo Skagit Scout. 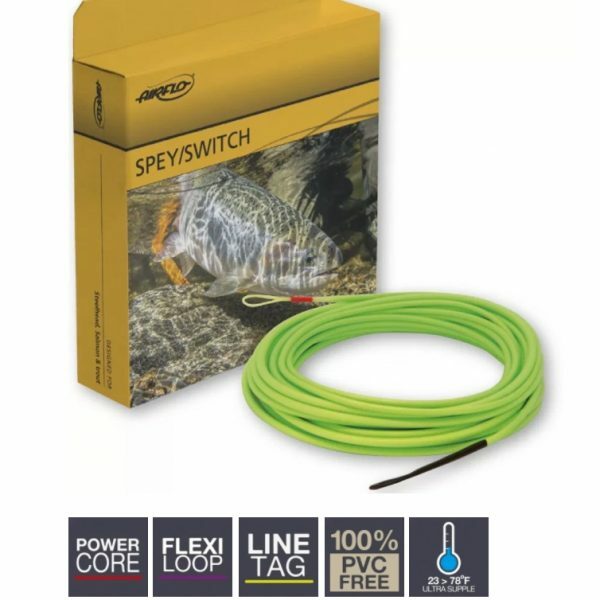 These lines are perfect for single-hand spey casting and for anglers using switch rods in places with minimal casting room. Utilizing all-polyurethane construction and an improved, supple coating, the Airflo Skagit Scout heads open up water that is unfishable with other lines. They allow trout, steelhead, and salmon fishermen to use their single-hand and switch rods to cast any sink tip in their bag. See demo video on Description Tab below! Learn more about these lines with Tom Larimer from the Airflo Design Team. Be the first to review “Airflo Skagit Scout (*Demo videos! *)” Click here to cancel reply. This item will be handled and shipped directly from Airflo. Airflo Line Tag. Airflo’s unique permanent line marking system is welded into their factory fitted loops for easy identification on many of their shooting heads and their latest Ridge Clear fly lines. Each label clearly shows the lines weight and density – so, no more having to put your lines on the scale. Airflo Zone Tech. 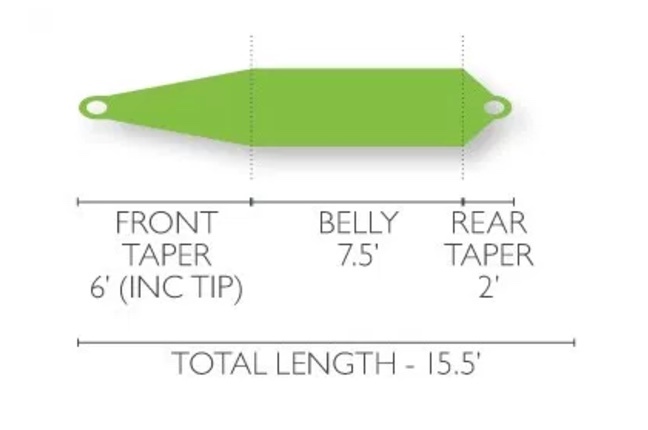 A supple fly line offers many benefits to the fly fisher. 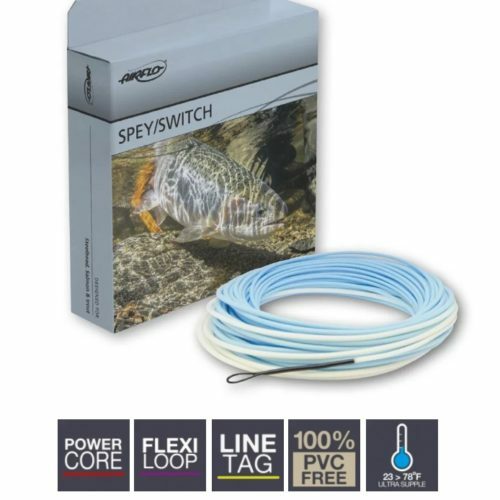 A softer line follows the surface currents better helping you to control drag and having less memory in colder conditions and they always feel nicer to handle. Forming a high speed casting loop is far easier in a supple line. But turn up the heat to summer conditions and the area of the line subjected to the haul can become sticky and drag in the guides as the line loses its shape due to compression. With some clever engineering, Airflo has been able to subtly change the hardness of the coating in the Zone area to reduce compression. 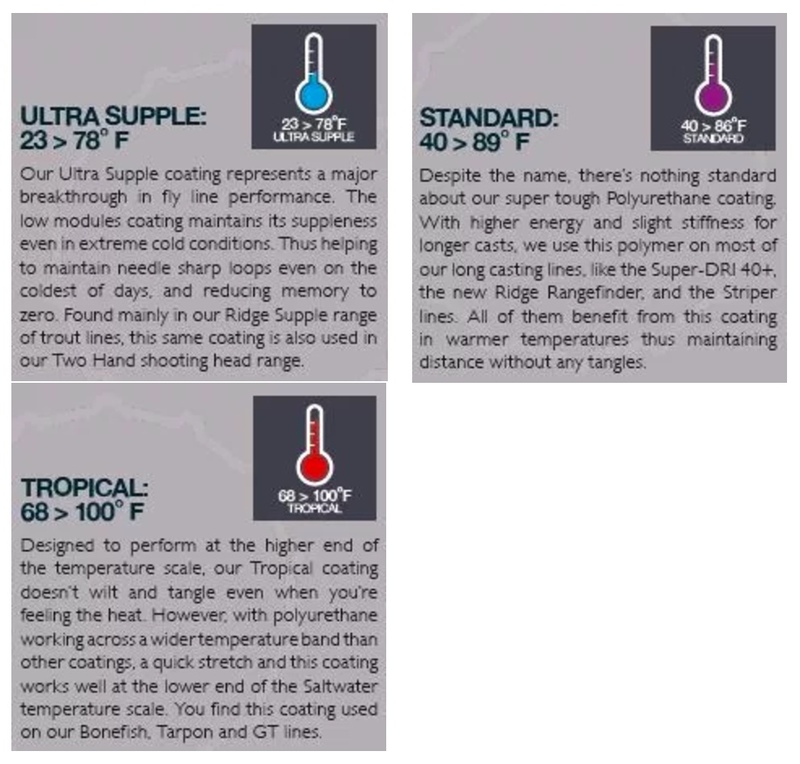 The result: superior line speed and greater shootability across a wider temperature range. Airflo Flexi Loop. Not relying on solvents to make it supple, Polyurethane flexes better and lasts longer than any other material according to Airflo. Their new Flexi Loop system incorporates actual fly line core into the loop and with their unique fusing process, creates a seamless weld that really is bullet proof. Airflo Ridge Technology. 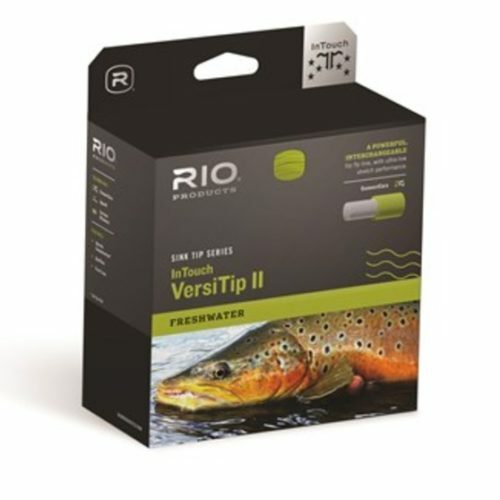 Airflo’s unique ridged design reduces the lines surface area in contact with the rod guides. Consequently friction levels are vastly improved when compared to other lines on the market. Incredibly tough for long term durability. Airflo Power Core Technology offers incredible suppleness and handling performance even in the harshest of conditions. 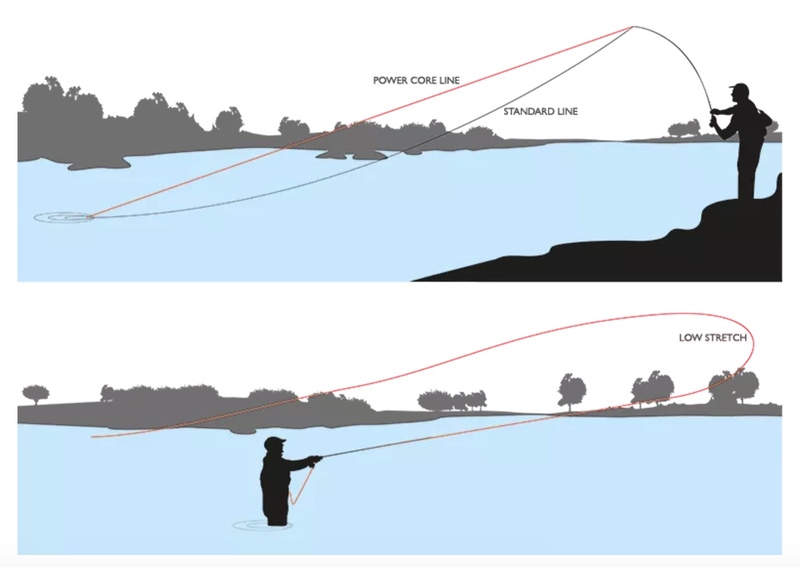 With only 6% stretch, the Power Core braid improves casting control, sensitivity and hook set. Airflo 100% PVC-FREE Technology. The original “PVC Free” Polymer coated fly lines, Airflo utilizes solvent free polyurethane as the base material in all their fly lines. Airflo Micro Loop Technology. The ability to fuse Polyurethane post production led to the development of Micro Loops. 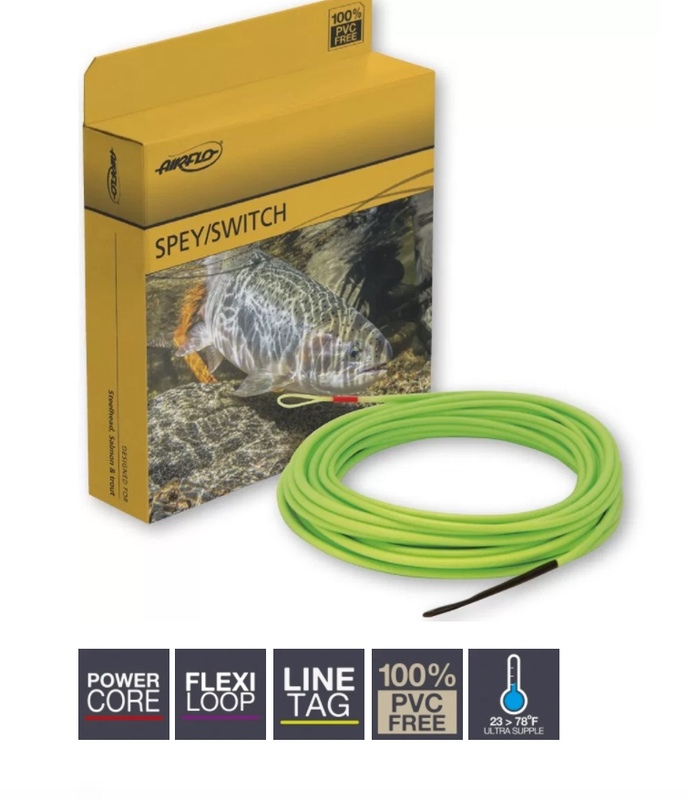 Showing no visible signs of a step down, Micro loops blend into the main line giving smooth transition to your leader and protect your fly line from the effects of capillary action. Airflo TDC Technology Total Density Compensation – raises the bar on density control regardless of line type. Controlling the volume and density of each coating, Airflo’s dual layer PolyFuse XT process creates technically advanced lines with pinpoint accuracy. For true high buoyancy floaters or sinking lines with sink rates you can rely on, look out for the TDC logo. Airflo Climate Control Technology – Even though all lines are made from the same base material, polyurethane, not all of fly line coatings are the same. In fact, they come in a variety of grades or hardness’s which determine how the line will perform in a variety of temperatures. Coatings are selected that best suit the environment in which they will be used, each having its own merits and optimum temperature range in which they perform best. To help establish which line you require, Airflo has developed a temperature chart that highlights the working temperature range for each of our lines. 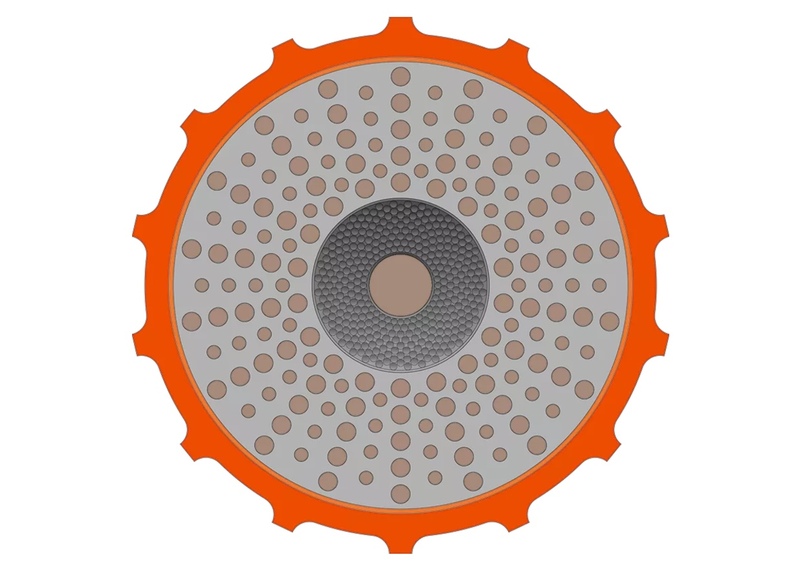 Airflo Super-DRI™ Technology. 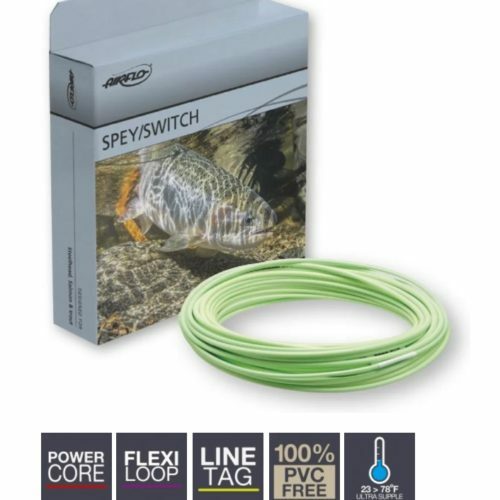 Airflo, is always looking for ways to improve fly line performance. Starting with a patented polymer, Airflo’s chemists formulated Super-DRI, a new material that repels water, dirt, and surface scum. 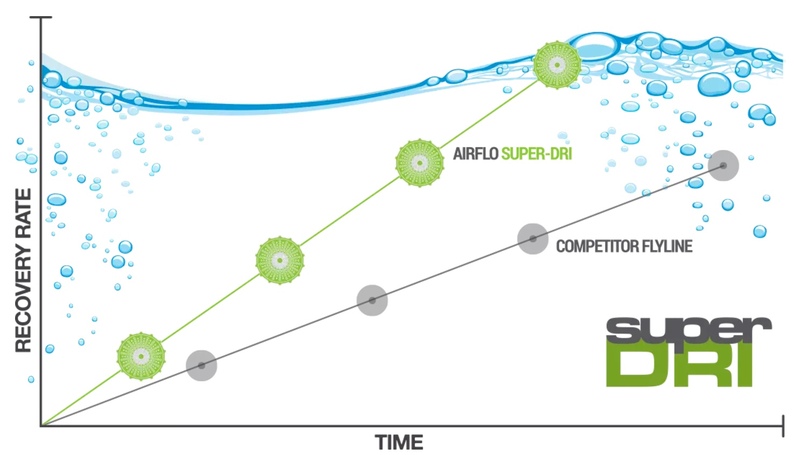 New advances in Nano Material Technology has allowed Airflo to make a line that floats better and shoots farther than ever before… enter the Super-DRI. 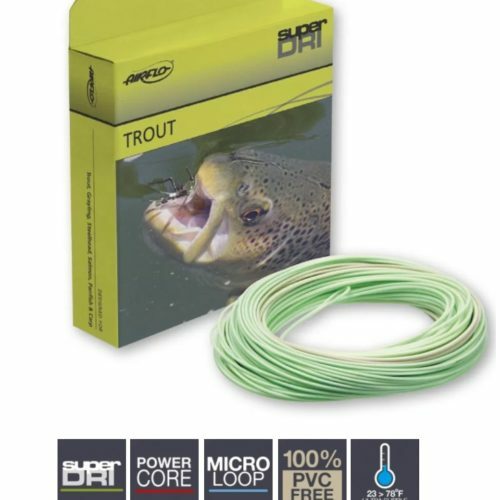 All lines claim to be higher floating than any other, but in Airflo’s recovery speed lab test against all other market leading brands, their Super-DRI fly lines had tip recovery speeds faster than any other line, in any comparable line size. 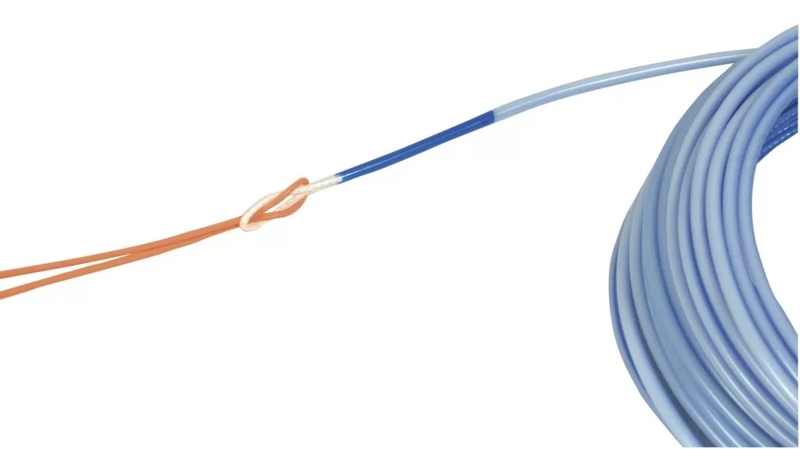 Super-DRI takes fly lines to the next level with a permanent compound of ultra water repulsive PTFE (Polytetrafluoroethylene), which due to new advances in Nano technology, its smaller particle size prevents water absorption into the coating. Polytetrafluoroethylene (C2F4)n – The lowest coefficient of friction known to man, so the benefits to line speed and casting performance go without saying.